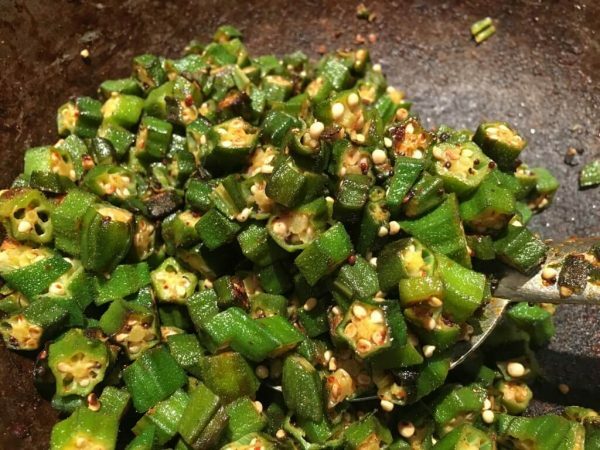 Keep stir frying, until the okra changes color, in about 10-15 minutes, adding a bit of oil if needed. 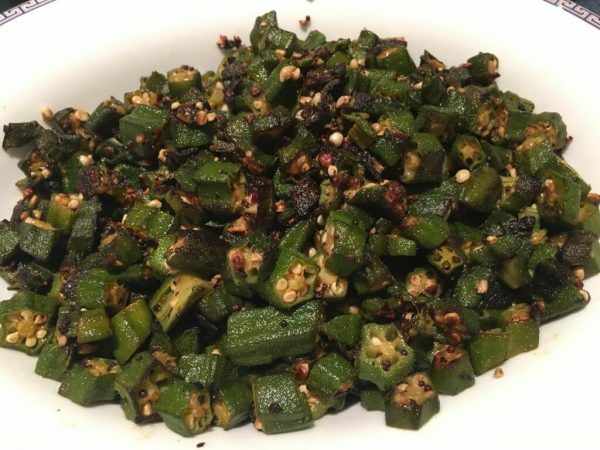 The okra will not get sticky when cooked on medium heat, stirred frequently like this. 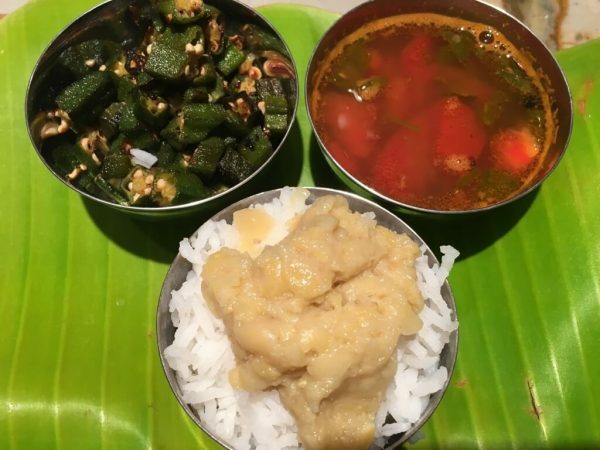 Turn off the heat; enjoy with a rice of your choice. 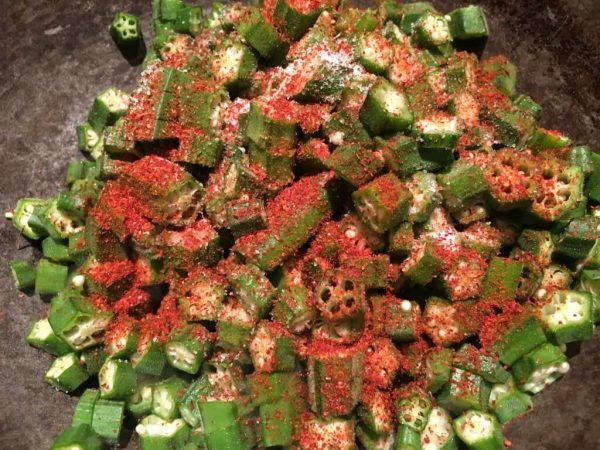 If the knife doesn't cut through the okra easily, and you hear a crunch like you're cutting into a carrot or an onion, the okra is not tender. 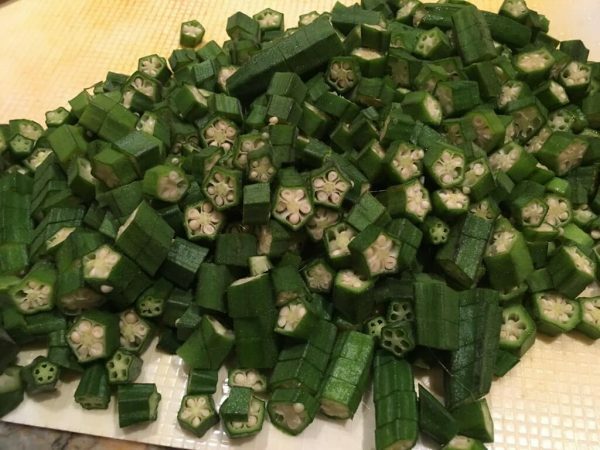 Discard the offending okra. Back home, people try to break the stem off when buying okra to test for tenderness - this habit is highly frowned upon by the vegetable sellers, and I never learned to test it this way. But after you've been buying okra for a while, you get a sense for tender okra. 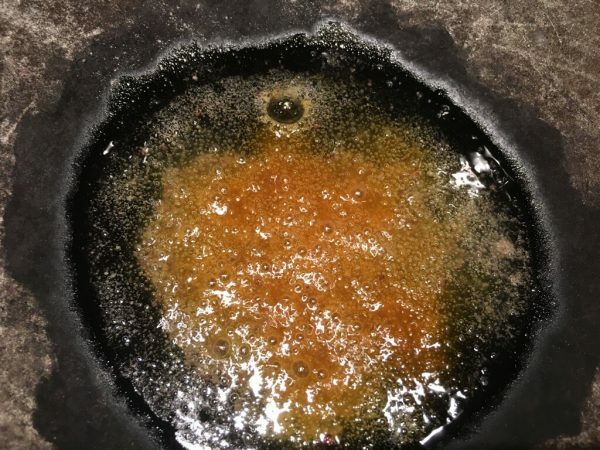 This recipe is for my kids - they both love it!